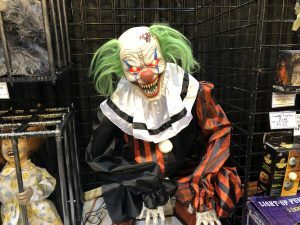 HauntCon 2019 is in the books but we still have plenty of good stuff to you from the convention last weekend. In a sea of over the top super creepy Halloween animatronics that I saw sometimes keeping it simple is the best way to go. One of the simplest, yet creepiest animated props I saw was the Crouching Clown from Morris Costumes. 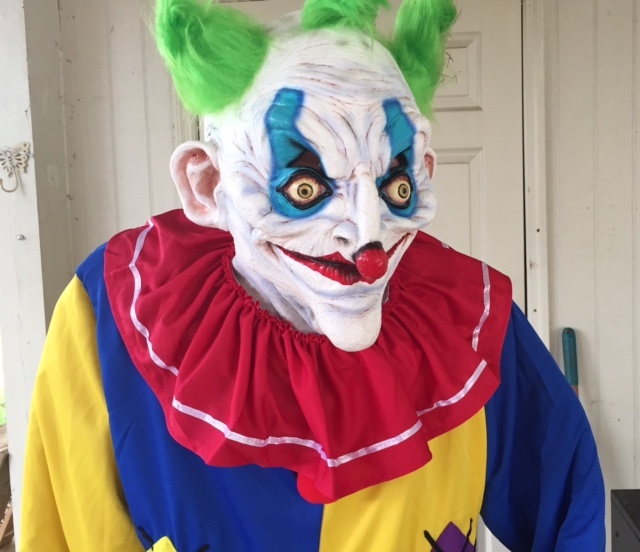 Check out the Crouching Clown from HauntCon in the video below. The prop is pretty simple but yet it’s very scary. 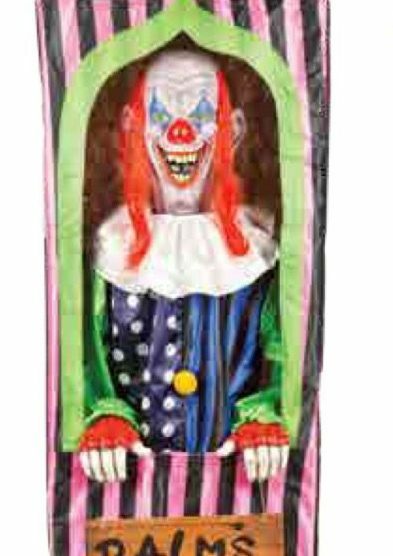 The way the clown is just crouched down as he sways back and forth is pretty eery. Is he about to jump up and bite you or is he simply scoping things out? I imagine he will be a pretty big hit this fall. If you don’t like the clown dressed in blue it’s also available in blue. It’s not often that you get a choice or variety in Halloween props. That’s pretty cool that as a customer you get make that decision. 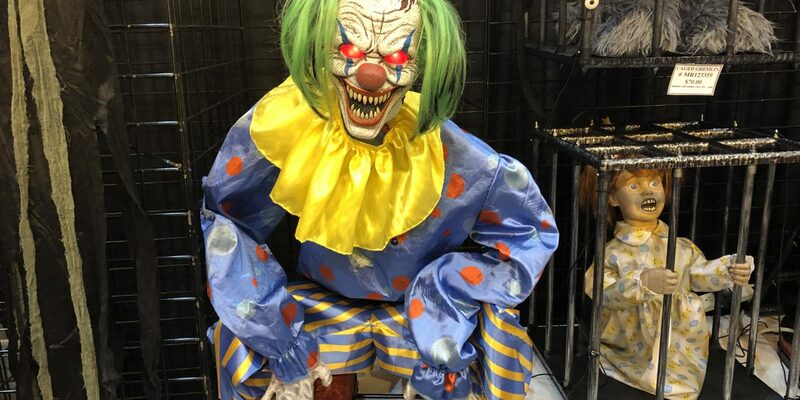 It’s known for sure exactly what the Crouching Clown will sell for at retail but it’s thought that it will be somewhere in the $149-$179 range depending on which store you find the prop. Every retailer has different profit margins. You might find it cheaper online. However, you also will likely pay just as much if not more when you factor in shipping. Like most props from Morris Costumes it’s doubtful you will find them at Spirit Halloween. 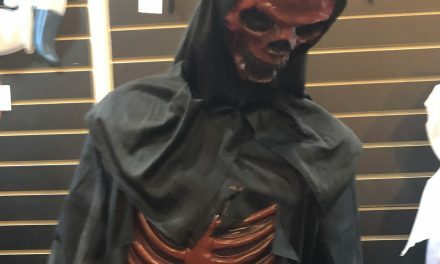 I was told that their props would likely be found at Halloween Express and other independent Halloween stores later this year. Like most new props they will probably go on sale in the mid-summer and ship in late August. That’s pretty standard in the industry every year with new Halloween merchandise. Keep checking back. We have a lot more cool stuff coming out in a few months to show you. Halloween will be here before you know it!